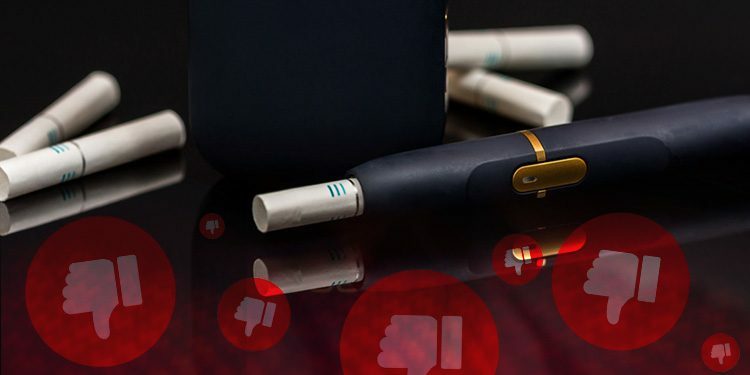 Big tobacco companies are heavily promoting heat not burn (HNB) products to vape shops around the UK, in some cases offering cash incentives to stock their product. While this could lead to a short term profit boost, this could be a poor long term move for vape shops. How has the vape industry affected big tobacco? In 1990, the UK population smoked 99 billion cigarettes. In 2014, it was just 34 billion. In 2006, around the time e-cigs reached the UK, 22% of the population smoked. Now it’s around 16% . Faced with declining sales and customers and a disruptive new industry, the tobacco companies had to do something. What is heat not burn? Heat Not Burn works exactly as the name suggests. Instead of burning tobacco, HNB devices heat tobacco, creating a vapour that contains nicotine. As we know that the harm from smoking is not from the nicotine but the combustion caused when you burn tobacco, it should be much safer than smoking. (For a deeper dive into the mechanics, see How Heat Not Burn Works). 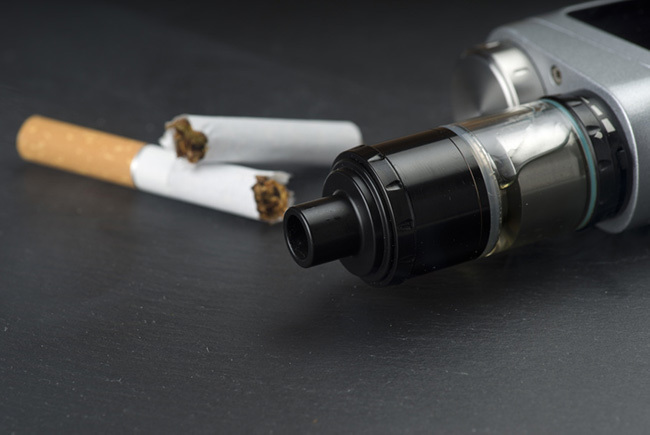 Although the tobacco industry is buying up independent vape retailers, and is manufacturing its own devices, the vaping industry poses certain problems for its business model. 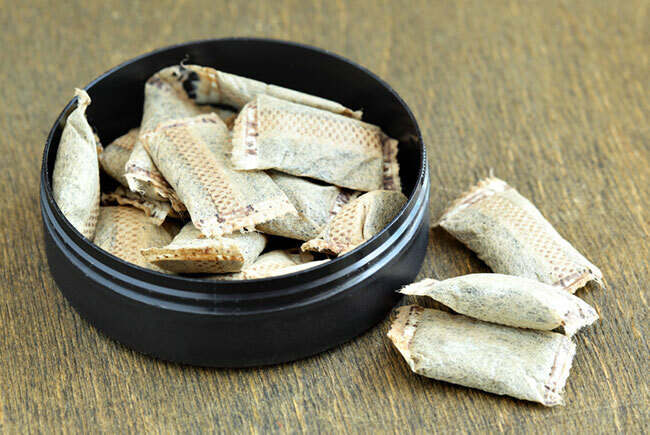 Tobacco companies essentially manufacture a single product, with a limited range of flavours. That gives massive economies of scale, while the products are simple and easy to use and can be sold anywhere without the need for advice. Hundreds of different devices exist which cater to the different needs of different vapers. Many are sold via small shops, where enthusiastic sellers provide in-depth advice and support before and after the sale. Thousands of e-liquid brands and flavours exist, and many vapers enjoy going to shops, trying the different flavours and having a chat with the staff. I’m sure it’s not an impossible model for the tobacco industry to crack, but it lacks the advantages and familiarity of selling traditional cigarettes. In contrast, Heat not Burn is an identikit product which could be sold anywhere. 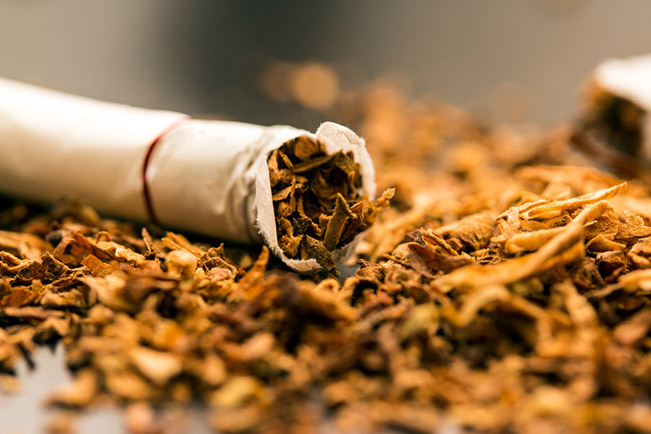 What’s alarming us is not the emergence of heat not burn, but instead the ongoing efforts by the tobacco industry to recruit small shops to sell HNB devices. Is it ethical to sell heat not burn to customers? Scientists at the E-Cig Forum last year suggested that heat not burn is likely to be vastly safer than smoking, but about ten times worse for people than vaping. That ‘ten times’ sounds alarming, but it’s important to remember that the harm of HNB is still likely to be a tiny fraction of the harm of smoking. So from an ethical point of view, if you had a customer who could not get on with vaping, but did get on with an HNB product, it’s likely to be a far superior option to the known harms of smoking. So what’s the problem for vape shops? Selling heat not burn via vape shops makes a lot of sense for tobacco companies. But, in our opinion, it’s a suicidal move for small vape shops. And to see why, it’s worth remembering some of the reasons why vape shops do so well – that personal support, expertise and advice that just can’t be replicated elsewhere. 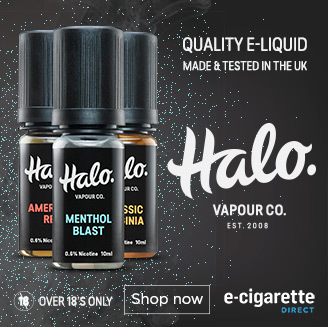 In a world dominated by Amazon, large supermarkets and chains of shops that has lead to a shopping experience that seems to be almost the same wherever you go in the UK, this characteristic has allowed the small vape shop owner to survive and thrive. But as we’ve mentioned, Heat not Burn is not a complicated product. It’s a product that could be bought anywhere and is easy to use. Once you’ve bought one, there’s no need to return to a vape shop for replacements, try new devices or taste new and delicious e-liquids. Essentially, every heat not burn product a vape shop sells could remove the need for a returning customer. Is there a problem for smokers and vapers? Depending on how you look at it, Heat not Burn could be both good and bad. On the one hand, the more alternatives to smoking there are the better. Vaping doesn’t work for everyone, and assuming Heat not Burn does turn out to be vastly safer than smoking, it’s another way to escape the smoking habit. In fact, ideally, we’d have a thriving market for vaping, Heat not Burn and other alternatives such as Snus. But if it does impact on vaping, that could be a bad thing for smokers too. It’s no surprise that vape shops have been seen as replacing quit smoking clinics; around the country there are thousands of passionate vapers, working in shops, providing personal advice and support to people who want to stop smoking. If heat not burn impacts on vape shops, we could see many of those passionate people disappear from vape shops, removing support, choice and competition for smokers and vapers. If I had to summarise it for vape shop owners, I’d be tempted to say: let tobacco companies do their own job of reaching smokers (they’re exceedingly good at it), but focus on providing great vape products, service and advice for your own customers. What do vape shops think? But enough about my thoughts – what do vape shop owners think? We reached out to vape shop owners to get their opinions. We were surprised to hear that awareness of HNB is low. Joshua Whitcombe, the owner of Oils and Coils had never heard of Heat Not Burn before we asked him for his thoughts, but said he wouldn’t get them in unless they started getting enquiries from customers. Ryan Michlig of Right Vape was aware of HNB, but said that in five years of selling e-cigs he had never had a single customer ask him about them. More people will try HNB as THR or to quit altogether. If it then doesn’t work for them, or it does and they are ‘sold’ on the alternative, I think they may well move on to e-cigarettes. Ryan agreed, pointing out that the Heat Not Burn has had most impact in countries where vaping is not legal. Christina and Phil of Vape Hut Maldon had a different take. We think that while it may seem a great product to market as it has had a lot of money thrown at packaging and promotion, it will ultimately end the trust between customers and vape shops. We pride ourselves on telling people the dangers of tobacco, to then stock a tobacco containing product despite it being a HNB will send a message of not caring about the customer. “Also the tobacco industry see us as a threat, they do not care about our shops and will market it so heavily that eventually people won’t need our shops at all. The tobacco industry wins and we all fold. Heat not Burn products are nearly as expensive to use on a daily basis as cigarettes. I personally think customers need that initial incentive to stop smoking and cost is certainly one. When a customer saves on average £300 per month vaping, they are much more likely to take a quit attempt seriously; Heat not Burn will save a 20 per day smoker £50 per month. For us it [HNB] goes against everything we love about the vape industry. We will not sell out to make a few pounds, for us it has never been about making a quick buck. What started out as a hobby has become not only a passion to help people but also we have become an integral part of our community and intend to stay true to the values we hold. The fact that shops are being given financial incentive to stock the product speaks volumes about the products underhand intentions. Looking for practical advice to help you manage and grow your Vape Shop? Click below to download these free guides. Thoughtful post, thank you. I’m not a vape shop owner, but I don’t like the “Big Guys” muscling in. Already Blu, which you can buy at any store – Asda and Co-ops and others – are really pleasing devices (actually) at reasonable prices. I think HNB is totally over the top price wise, an example of greed. Vape shops should stick to vaping products for all the reasons you give. And keep away from a product that is highly overpriced and catches the buyer in an endless loop of having to buy tobacco pods (or whatever they’re called) containing minuscule amounts of real tobacco. A cigarette is less of a “cheat”! Thanks for the comment, Elizabeth. I’m not concerned about it being a cheat – at the end of the day, if it’s safer than smoking that’s a good thing – the more reduced harm alternatives to cigarettes the better. My concern is more about whether it is the right product for a vape shop. I’m also agreed with @James here. Both smoking and vaping aren’t 100% safe for human. But vaping is safer than smoking. Because in vaping the nicotine level is low than smoking. And nowadays lots of people are trying to switch themselves from tradition smoking methods. And obviously prefer vaping, e-juice, bongs, pipes and many more. GIVEAWAY: WIN an ultra compact Mi-Pod vape kit. Enter in seconds!